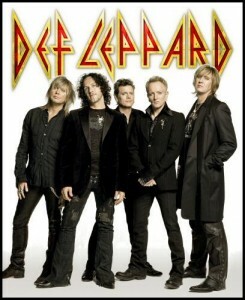 One of the worlds best selling rock band Def Leppard brings their 2011 tour to Blossom Music Center in Cuyahoga Falls. From 1977 to now, these guys are still going strong! Joined by the famous band Heart, Def Leppard will be rocking the night with their greatest hits like “Love Bite” and “Pour Some Sugar On Me”! Rock band Heart are famous for their songs “Barracuda” and our favourite “Crazy on You”. Tickets are selling fast, so we advise you take advantage of the outstanding seats left by purchasing your ticket asap. VIP Boxes and lawn seats still available.